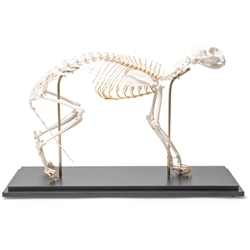 This real cat skeleton is flexibly mounted making display of natural feline movement possible. 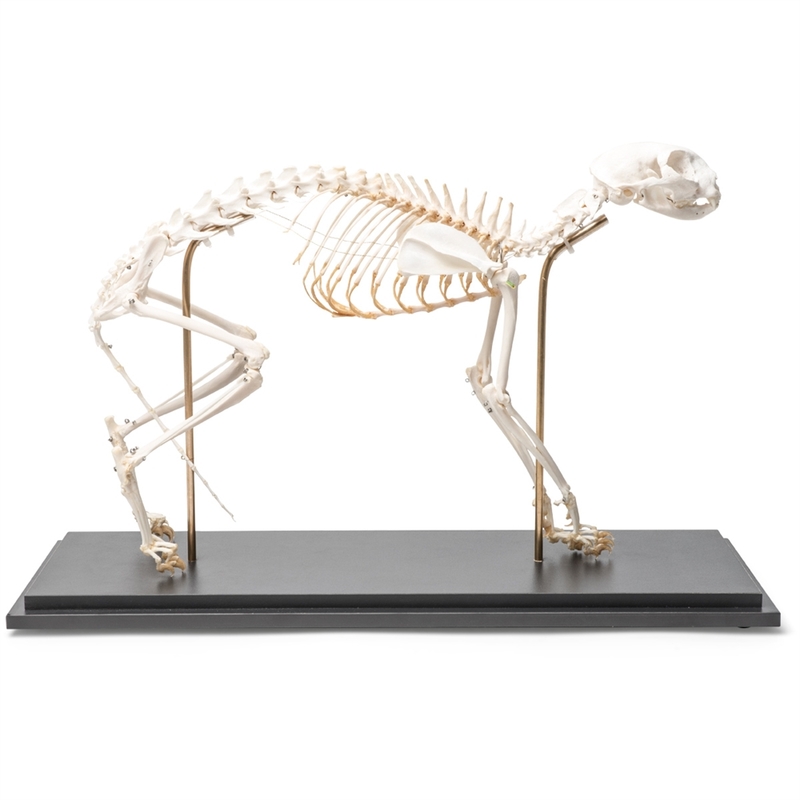 The cat skeleton is mounted on a wooden base for easy display in the classroom. The Felis catus comes complete for detailed study of feline anatomy. This animal skeleton is a great tool for mammalogy and comparative anatomy, as well as other studies.